Below you can view all the homes for sale in the The Branches subdivision located in Dunwoody Georgia. Listings in The Branches are updated daily from data we receive from the Atlanta multiple listing service. To learn more about any of these homes or to receive custom notifications when a new property is listed for sale in The Branches, give us a call at 404-998-4097. New Modern Baths & Fixtures. Workshop Area/Storage Closet In Garage. MLS#6521471. 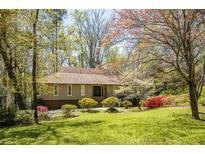 Karen Cannon Realtors Inc.
Short Walk To The Branches Swim/Tennis Club, Playground, Or Downtown Dunwoody. Easy Access To 400 & 285. MLS#6514965. Keller Williams Realty Atl Perimeter. Convenient To Dunwoody Shopping/Dining, 285 & 400. MLS#6121861. Keller Williams Realty Atl Perimeter. 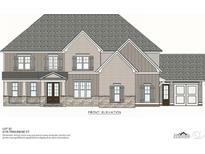 To Be Built & Customizable W Estab Dunwoody Builder*Exceptional Constructn Using Only The Finest Materials*1/2 Acre Level Lot W Private Byrd*Spacious Energy Efficient Smart Floor Plans W 10+ Ceiling*Oversized Lux Kitchen W Prof Grade Appliances*Guest On Main*Spac Master*Laundry Up*Mudrm*Walkout To Deck*Oversizd 3 Car Garage, Full Day Basemnt, Spray Foam Insul & Much More*Designer Svcs Included To Make The Home You Want! MLS#6115923. Karen Cannon Realtors Inc.